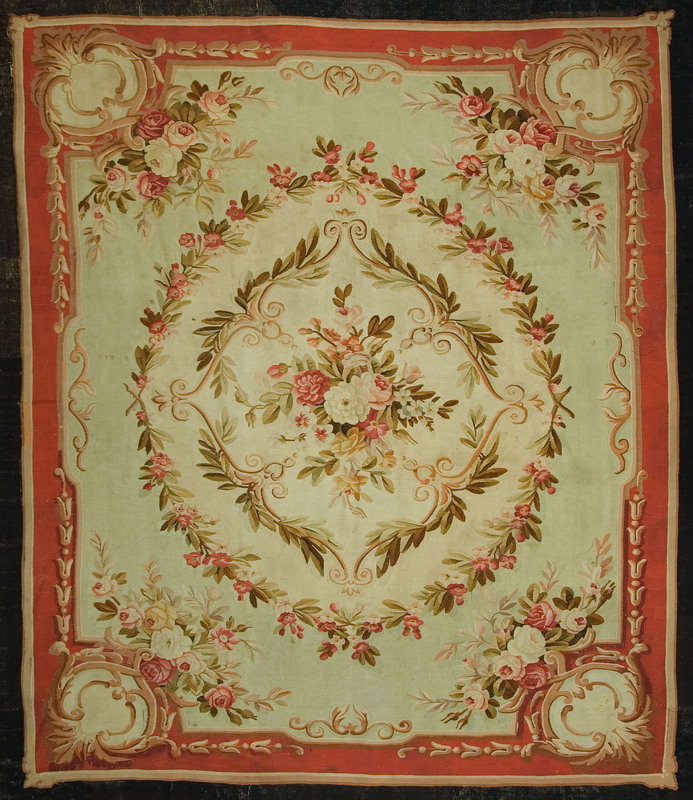 Aubusson carpets are pile less and tapestry woven from that town to the southwest of Paris, by a group of independent weavers working under Royal or State protection. The designs are strictly classical, neo-classical or Victorian. They are virtually never “oriental”. The pattern wefts are wool with silk and/or metal thread for details in the more finely woven examples. Sizes tend toward the squarish and pieces 30’ by 30’ are not unknown. The 18th and 19th century French clients included the nobility and haute bourgeoisie. 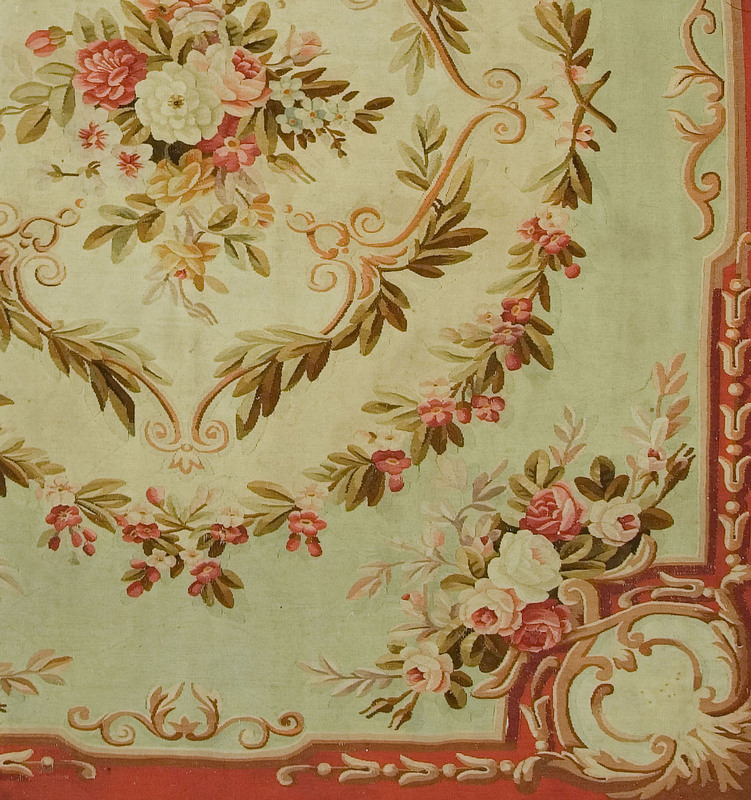 Aubusson carpets were also exported to England and are often to be found in country houses. Light colors are the most popular and dark toned pieces are very rare. 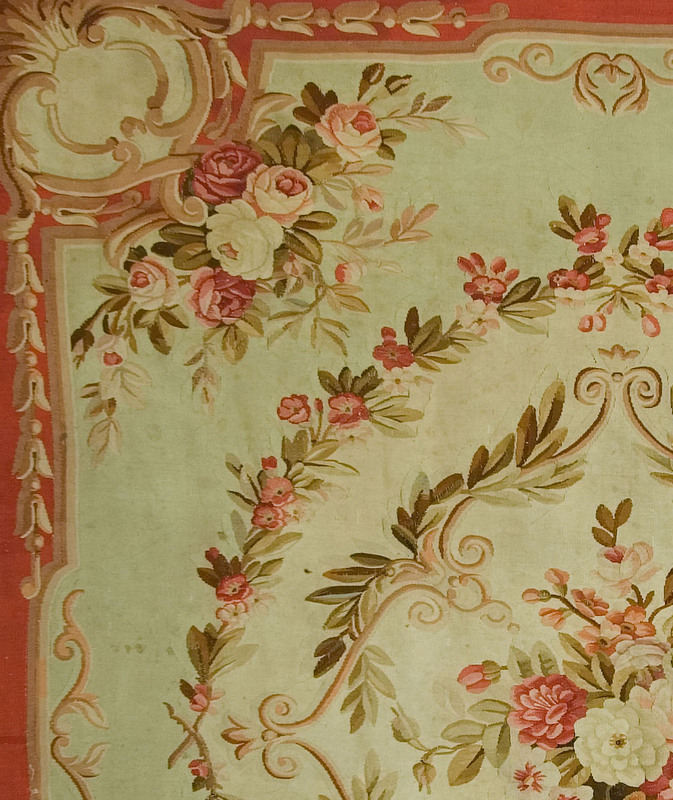 Besides traditional Louis furniture, try an Aubusson with the most modern décor; it might surprise you. 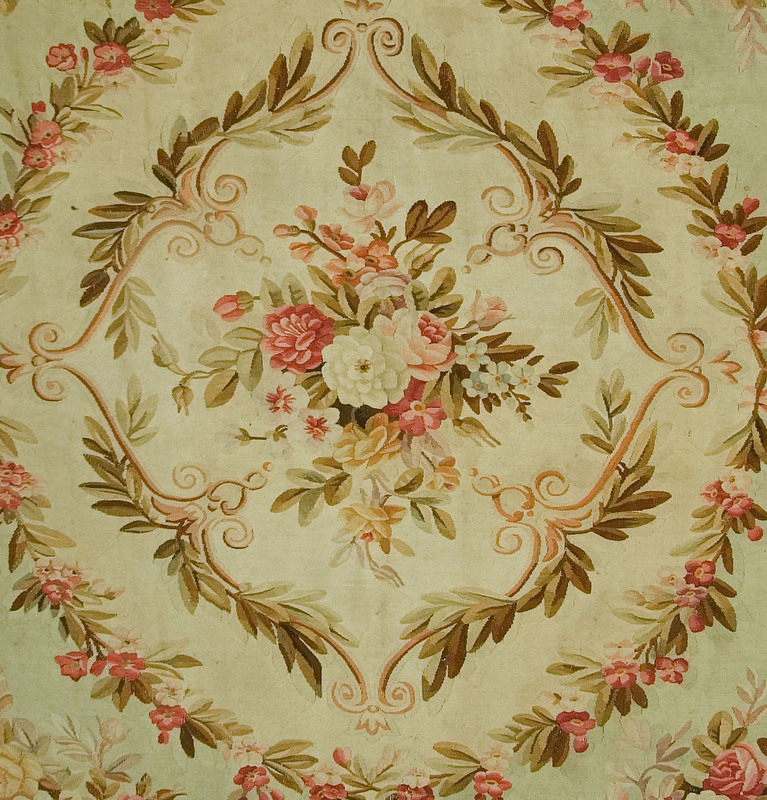 This light, airy Aubusson small carpet has matching central and corner rose bouquets. The double elliptical leafy wreaths are spaced to give a sense of informality. The corner bosses ae equally open. The narrow monochrome border is barely noticeable. There are no overtly classical elements and there is just enough rococo feeling to set it off from the more cluttered pseudo-Baroque of the Victorian period. The colors are all natural and have mellowed from what originally were sharper, brighter tones. Aubusson weavers, as with French rug and tapestry artists generally, work in spans of centuries, not years or decades, and they plan on what their creations will look like far into the future. 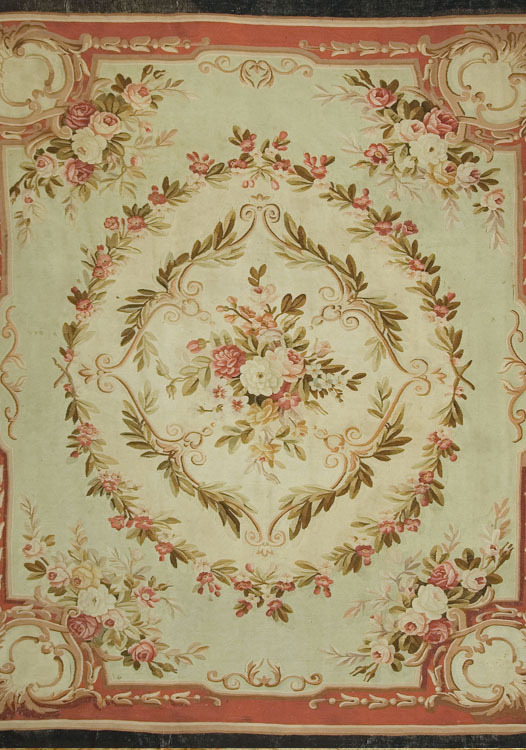 This Aubusson is a study in greens, especially pistachio, restful and precise, calming and yet rigourous.